There is no one size fits all recipe for healing. We all deserve a judgment-free space for healing. Our bodies have the ability to heal themselves. Through my expertise, I can help assist in this process. My goal is to reduce both physical and emotional pain as well as increase relaxation while promoting peace and harmony from within. Through listening to the body and thoughtful communication and gentle ushering the body toward peace, balance, relaxation and the potential for deep releasing of all kinds. Relax the mind. Release the body. Restore the spirit. Thai massage is an ancient system of healing with its root in yoga. The practice fluidly blends gentle rocking, acupressure, twisting, assisted stretches and meditation to relax and revitalize body and mind. All-inclusive, which welcomes people of all age, race, gender, religion, ethnic background and sexual orientation. 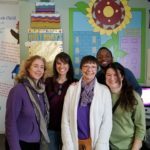 Thai bodywork is an artful expression that blends my passion for holistic living and healing. I look forward to working with you to create greater balance and well-being in your body and your life. 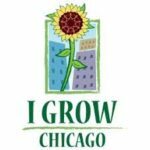 I restore myself through Acro yoga, Kundalini, Reiki and continued learning of Thai bodywork as well as spending time volunteering at Igrowchicago. 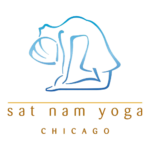 I am a Resident Healer at Sat Nam Yoga Chicago.